Los Chicos Altos are not your average Latin-American chicos–really! We found these guys residing in Barcelona, they were easy to spot because their height makes them stand out from regular Catalans. Additionally, since Maxey Blaze is a white German and T-Bird is a black dude from California, they were even more noticeable. Their debut EP on UrbanWorld Records is something they describe as a Trans-Atlantic, Euro-merican blend, uniquely incorporating Afro-Peruvian music, Cumbia and Chillout. 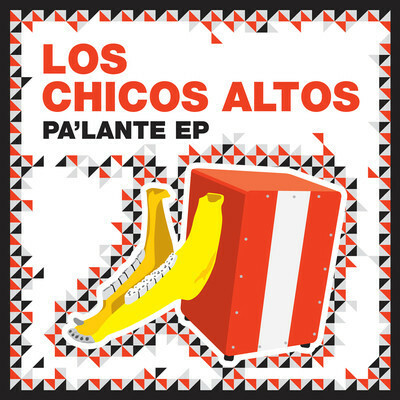 The EP’s title track, “Pa’lante” uses African percussion & polyrhythms originally brought to the Americas with the black slaves and combines it with Flamenco from the Spanish colonizers, while “Un Día Soleado” is a Peruvian Cumbia.